Sisters are on a mission to help others discover the truth and abundance of lovingly being in the world. 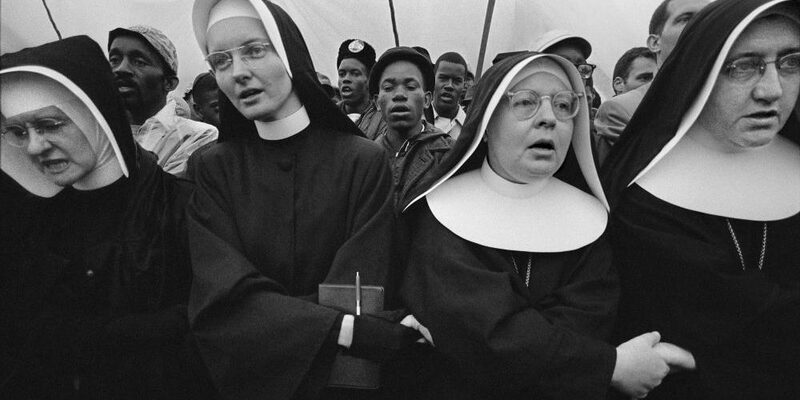 Sisters are woven throughout history, in Civil War times they nursed the injured on both sides; in the 1800s when they stepped up to teach immigrant children when others wouldn’t; and when they marched for civil rights down the street on Bloody Sunday… and soon after, the Dominican Sisters in their habits marched for civil rights here on Division in Grand Rapids. Read this article to find out more about Catholic Sisters and social justice.